I can't believe I'm using the word "autumn". I can smell fall in the air. You can definitely feel it when you go outside in the morning. I especially feel the fall season approaching when people start asking you whether or not you need any apples. Everyone's apple trees are starting to drop their bounties on to the ground. I managed to get my hands on over 50 lbs (probably more?) of apples from someone wanting to unload their produce. I have peeled apples, baked pies, or made applesauce for almost every naptime for the past week. There are 24 cups of sliced apples bagged up in my freezer. And I still have at least 10 lbs of apples to go! Everyone that I come into contact with takes home a pie. This is my no-fail apple pie recipe. It's perfect because it's not too sweet. Even with a really tart apple (which these seem to be), it is just right with a scoop of ice cream to sweeten it up. Or cheddar. 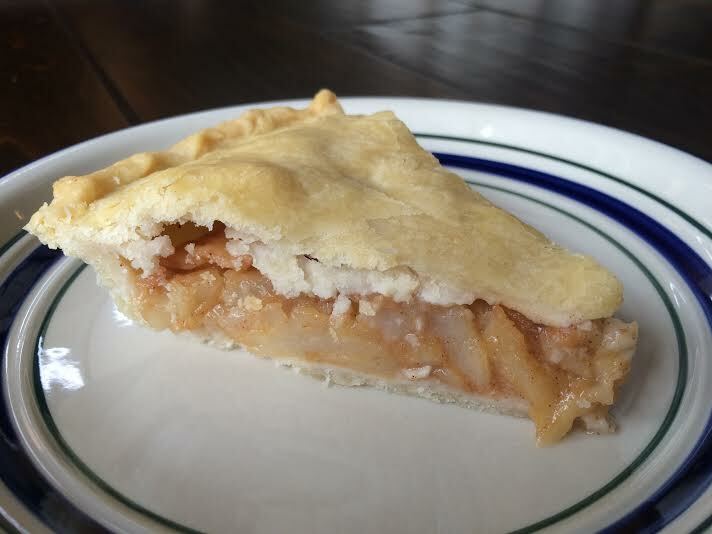 My husband really likes cheddar with apple pie. Delicious! Mix sugar, spices and flour together in a large bowl. Add apples and gently stir to evenly coat. Pour into prepared 9 inch pie shell. Add top layer of pastry. Pinch together and seal pie with your fingertips. Cut shortening in with flour and salt until it resembles coarse crumbs. Add water, one tablespoon at a time until it just holds together. Split into two equal balls, and flatten into 1/2 inch disks. Wrap in plastic wrap and chill for approximately 30 minutes. Bake pie for 55 minutes at 350F. 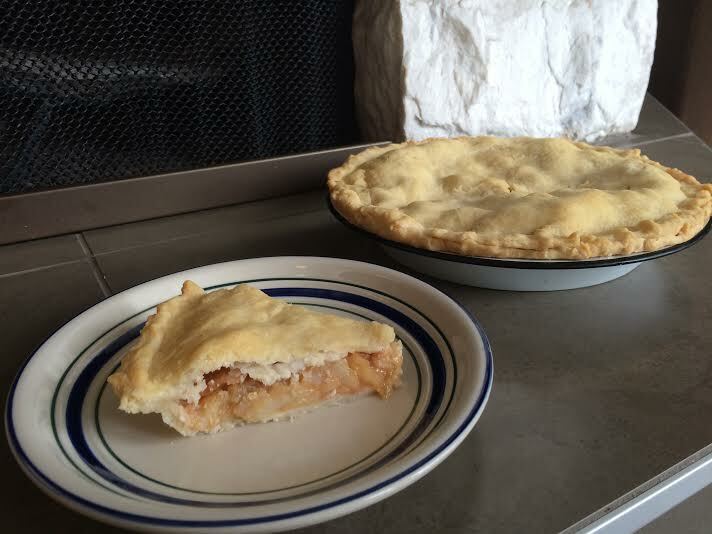 Be sure to bake on a cookie sheet, as I find apple pie often lets a few delicious juices escape while cooking. This will scorch and smell terribly if it burns in the bottom of your oven!!!!! Trust me, I had an incident last week where I got cocky and didn't use a cookie sheet underneath. Let's just say the self clean feature got a good workout!